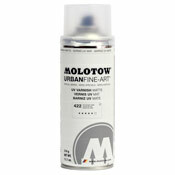 Molotow has started their official countdown to Xmas. Their countdown features a new graffiti artist each day, for the next 24 days. The program is called Molotow and Friends. It's much better for your than chocolate.